Phyllis Ann Redmond Larrabee, of Tucson, Arizona, passed away peacefully and surrounded by her loving children in the early morning on April 16, 2018. Her beloved husband of 72 years, Jack Larrabee, had passed away less than one year before. She is survived by her adoring children, Joseph, Deidre, Kathy and Lisa; eight grandchildren, and four great-granddaughters. Mrs. Larrabee was also preceded in death by her son, Patrick, six years ago. Phyllis was born and raised in Indiana. 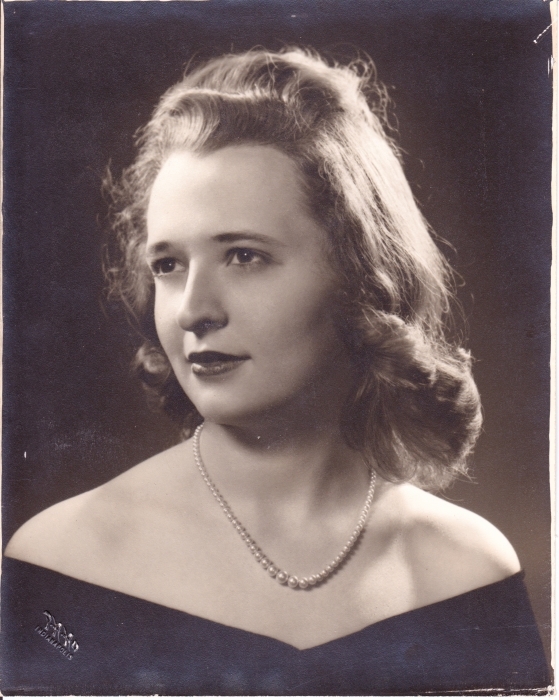 She then moved to Tucson with her husband, Jack, in 1946. She was completely devoted to her husband, family and faith. Her marriage to Jack was sacred and she attributed their long-standing love to always putting the other one first. She will be remembered for her independence, strength, laughter and compassion. She was devoted to the less fortunate and happily served every Sunday as a Eucharistic Minister at a Prescott nursing home for 22 years. Mass will be held on Saturday, October 27, 2018 at 10:30 a.m. at St. Mary’s Catholic Church, 212 Washington Street, North Vernon, Indiana. Burial will follow in the St. Mary’s Catholic Cemetery.